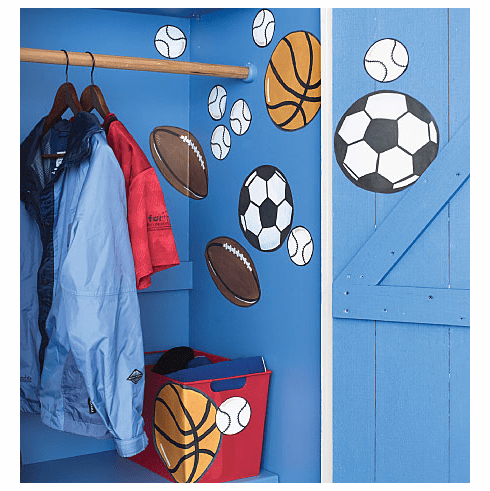 Add magic and whimsy to your child's room with our Sports Balls Wallies Mural Wallpaper Cutouts. Making it easy to achieve the look of stenciling, these fun Sports Balls Wallies Mural Wallpaper Cutouts will delight the sports fan in your life. Why spend hours when you can create beauty in just minutes? Simply wet the pre-pasted side and stick them onto your wall or other surface. It just doesn't get much easier than that!